Architecting and launching a full quote-to-cash solution is no small feat. The ability to accommodate your customers’ needs in today’s digital landscape requires more than a simple tweaking of your internal processes; it requires total transformation of the way you do business. Project setup is key: When you set an end date that doesn’t change as your project evolves, you often skip over many pieces during inception, so you can still meet that same deadline. To help, spend more time up front making sure you are able to measure success throughout the project. Define success criteria: Define your key success criteria (minimum of 1, maximum of 5) and refer back to them often. Throw out your requirements: Before moving into the building stage, you should get rid of your requirements based on your existing system and use the software you purchased and its best practices as a starting point. Start with a demo of purchased system capabilities: Find out what the new system can already do before deciding what requirements you need. Build excitement with the demo and new capabilities: Use the software you purchased to get people excited about what is coming. Define success criteria and associated timelines: Keep looking at overarching criteria and timelines to justify that each piece of the program needs to happen, should happen, or is successful. Make sure to consider perspectives from all areas of the business. Set business requirements (true vs. perceived): Make the distinction between true and perceived requirements so you don’t make a new platform do what an old legacy platform did, and you get the outcome you desire. Validate requirements, design and functionality: Validating through design and functionality testing will help you clearly define what you are trying to accomplish. Show results early and often: This is important with any system to ensure everyone is on the same page. Testing: As soon as you have something built, test and continue testing to make sure there are no surprises and you have time to act on feedback. You are already likely way behind where you think you are: Even at the inception phase, you are likely behind. This challenge needs attention and focus because there is a lot to consider and can take a massive amount of time. Complexities you should be thinking about NOW: Does your company know where all your data exists? Do you understand the data model, and can you extract the data from your existing systems? How you are going to transition off the old systems onto the new platform and what that will look like? What should you do to prepare? Although pushing data migration to the end of the project is a natural tendency, you should start early because it is often more complex and time consuming than thought to be. As soon as you get functionality in your new system, start migrating data by hand. For more information on how to avoid the common (and uncommon) pitfalls of implementation, download our tip sheet Quick Tips for a Successful Quote-to-Cash Implementation or view the ondemand webinar here. 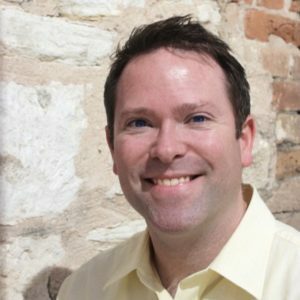 Brian Rohde is the Senior Director of Customer Success & Implementation at Gotransverse. In this role he and his organization and focused on delivering customer success from our initial engagements in the sales process, through implementation and into sustaining support. Prior to Gotransverse, Brian led a Business Analyst organization which was able to translate customer needs into business requirements and applicable system architecture, ultimately delivering a solution that not only meets the customer’s current needs but future demands of the business. When he’s not making customers happy, you may see him playing around town at one of Austin’s jazz clubs.